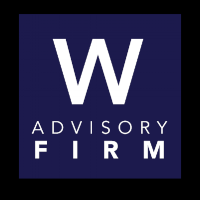 Walston Advisory Firm was founded to help businesses & individuals simplify their finances by providing financial services, advice, training, and software. Are your emotions running your business or are your goals? Is it important to track time when starting a business and how? What is the best way to track your business expenses? Contracts are important learn why here. Do your need a separate phone number for your business? What are the different types of business entities? Is it vital to have a business address that is separate from your personal address? How do you obtain your tax ID number? In choosing the correct entity really that important? May 16 When should you file a separate tax return for your business? Wondering if you should be filing a separate tax return for your business? Are you prepare to file your W2s and 1099s? Are credit card transaction fees worth it? Aug 28 Do Budgets Provide Control? Can you control the resources of your organization with a Budget? Aug 21 Why Do We Budget, and Do Budgets Make Good Plans? Are budgets valuable or an artifact from a bygone era? Do budgets make great corporate plans? Aug 15 What is Budgeting? Aug 7 The Cloud. Is it Secure? Can you trust Google and Mircosoft to keep your business data safe? Jul 31 You Just Landed A Large Client. Now What?